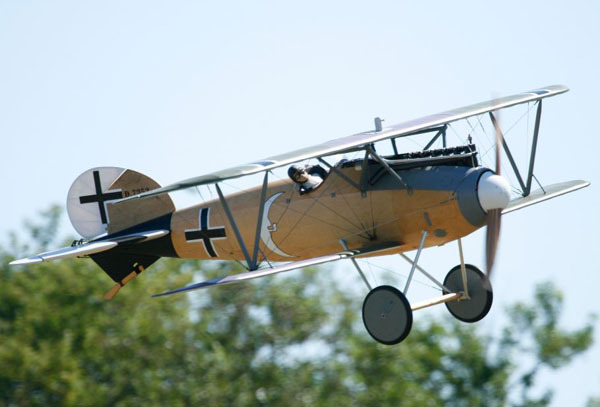 Well with the Summer starting to heat up, the upcoming Giant Scale WW1 event is just over the horizon. 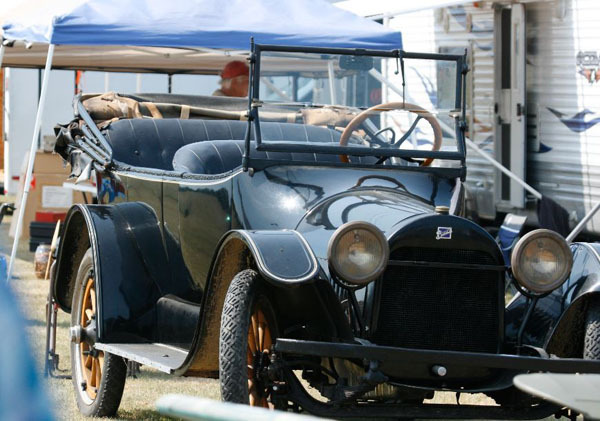 Mark you calendar for July 28 -31 and head down the Long Island Expressway, or better yet, take the Port Jefferson Ferry, and get to this impressive event! 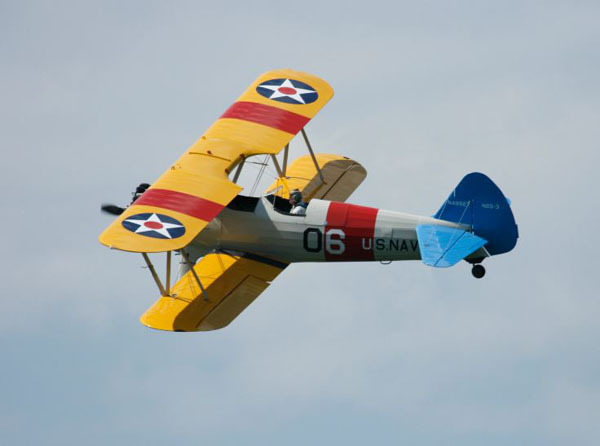 With plenty of great WW1 airplanes and great food and friendship, this is one of the Must Attend events in the Northeast! Here are just a few pix we took at last year’s event! 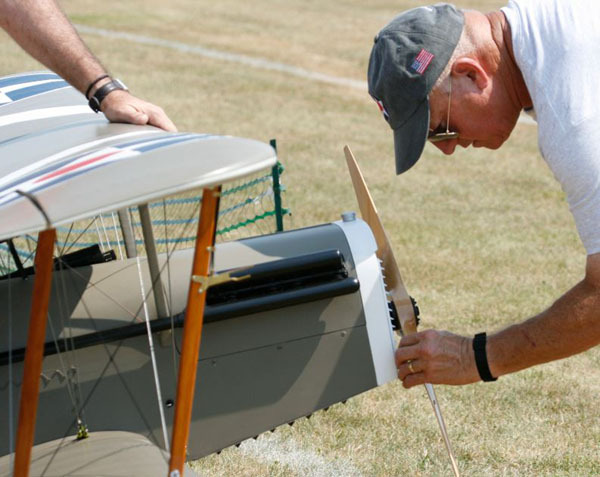 Roy Vaillencourt checks compression before cranking up his 1/3-scale SE5 Scout. Is it me, or is that pilot figure straining to look over the nose on landing?! 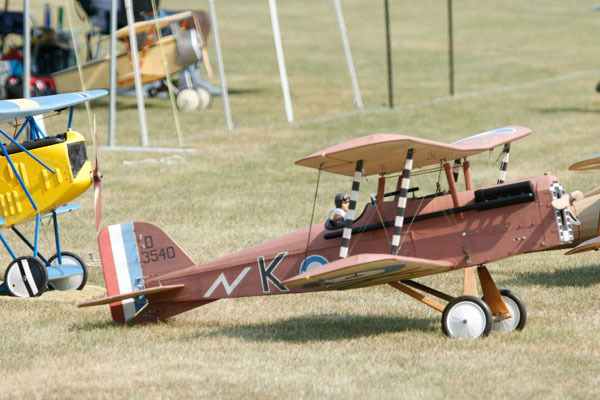 Gene Gaven heads for the flightline with his Nieuport 11. 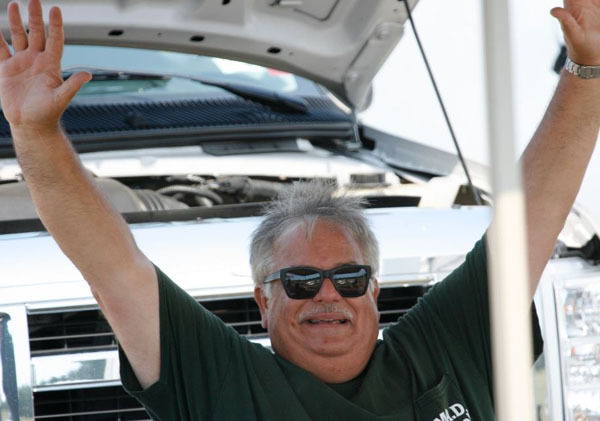 How could it not be a great event with Sal Calvagna in the peanut gallery?! 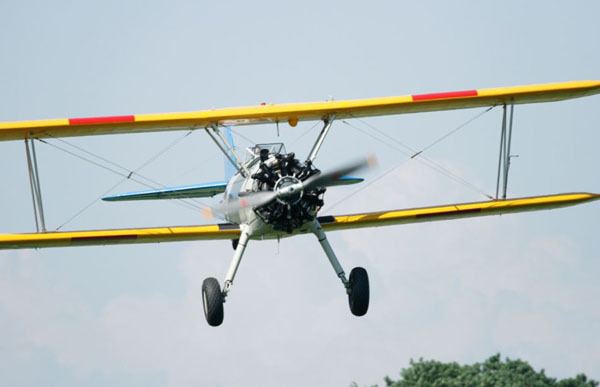 Nick Ziroli buzzed the field with his amazing Stearman! That engine sounds so good! Be sure to get to this event! 80 inch for monoplanes, and 60 inches for biplanes! Love these planes! 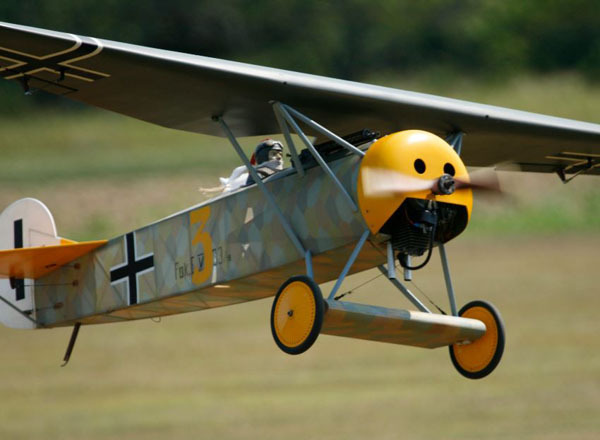 Very interested in the german plane on the first picture with only one wing! 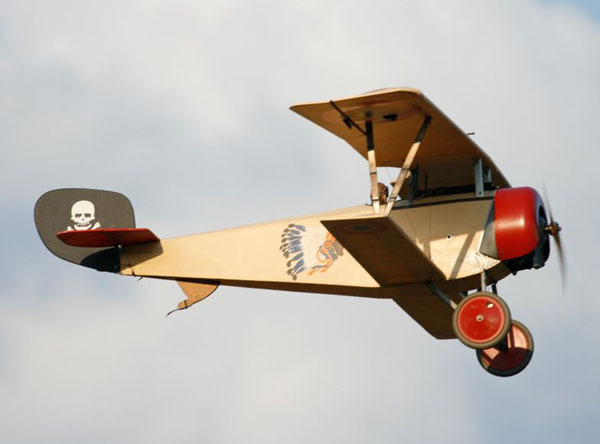 Does someone have a link to where I might be able aquire an ARF of this aeroplane? 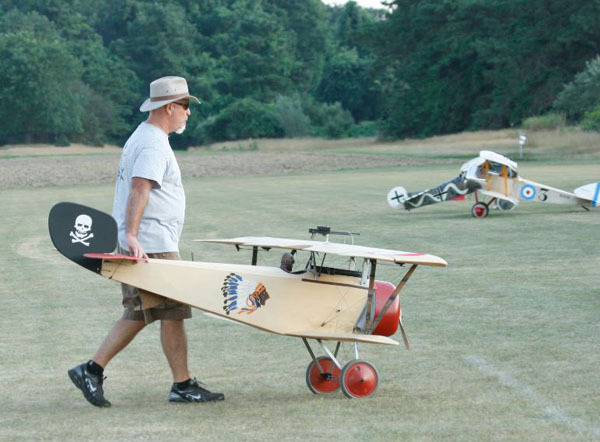 Whats the name of this plane? 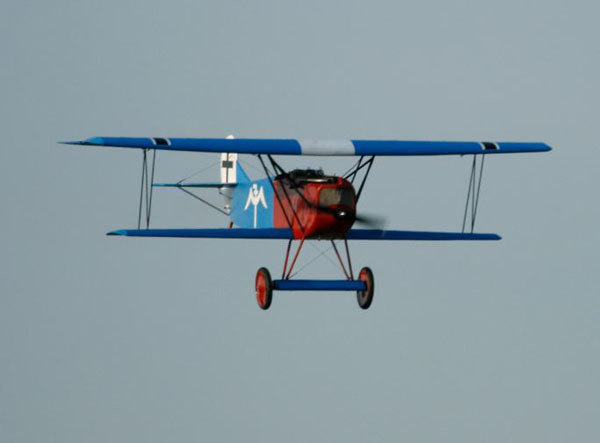 That is a Fokker D.VIII. I grew up on Long Island and remember all these men , I was a member of L.I.E.R.S. Now I live in DOOR COUNTY North of Greenbay W.I. In a little town caLLED Sisterbay. Ps I now have 17acres of land and my own flying field any time I go outside. 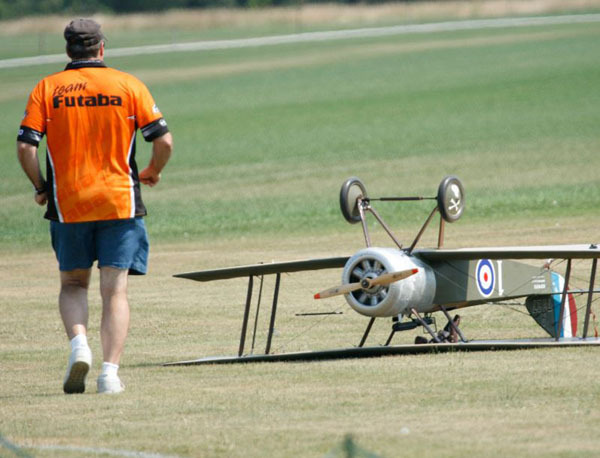 I’v been around long enough to have been a member of the 1/4 scale club, and to be at the big flyin that was held in Las Vegas. The one plane that I can remember was a forker D I. The pilot came in from Germany with his ground crew. the plane was right about as high as your arm pit. there were all types of planes there. Plus the smallest was 1/4 scale. It was all kinds of fun all day for the whole weekend.